Greetings once again to all my loyal readers! 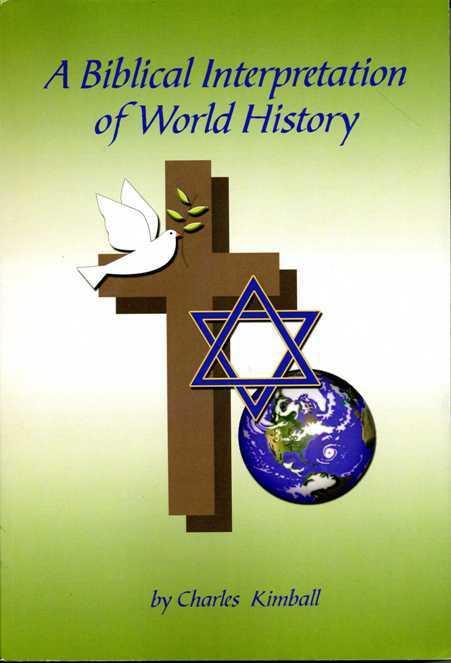 Charles Kimball is here again, to give you the latest news on my world history website, and more. This time the main announcement is that I am trying a new online venture — podcasting. I was prompted to do this by my discovery last fall, that history-related podcasts were appearing all over the World Wide Web. There are no longer just a few individuals in the business, like Dan Carlin. Most of the podcasts I listened to were enjoyable, especially if I learned something, but with those that weren’t so good, my reaction was, “I can do better than that!” In June one of the podcasters I listened to went on Facebook and asked for comments, and when I told him about the episode where I thought I could have done better, he agreed! After that, I considered making my own history podcast, But I didn’t want to start by doing a topic that someone else had already covered. Thus, I considered what areas of history I am strong at, and one of them is Southeast Asian history. A quick Google search told me that no one is doing a podcast on that yet, so that became my subject. I read up on how to make a podcast, bought a good microphone, chose a host for the MP3 files, wrote my first script, and off I went. There were some technical issues when I uploaded the first episode on June 29, and they were resolved on July 1, so I consider July 1 the official launch date for the podcast. That episode was just an introduction, and the second episode began the actual historical narrative; I uploaded it on July 15. 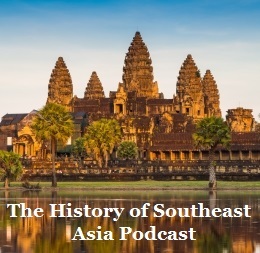 Thus, the History of Southeast Asia Podcast is fully underway. My goal is to upload two episodes a month, each around 30 minutes in length. Let’s see how long I can keep it going; if I make it to the mid-twentieth century, this will become the official podcast about the Vietnam War, among other things. Next, I want to get some advertisers, and otherwise find ways to make money doing this, because I am still out of work at this time. Here is the URL that goes directly to my host. Check it out. That’s it already. Concerning what’s next, just two things come to mind. First, I will finish the South Pacific history series; doing that by the end of this year is a worthy goal. 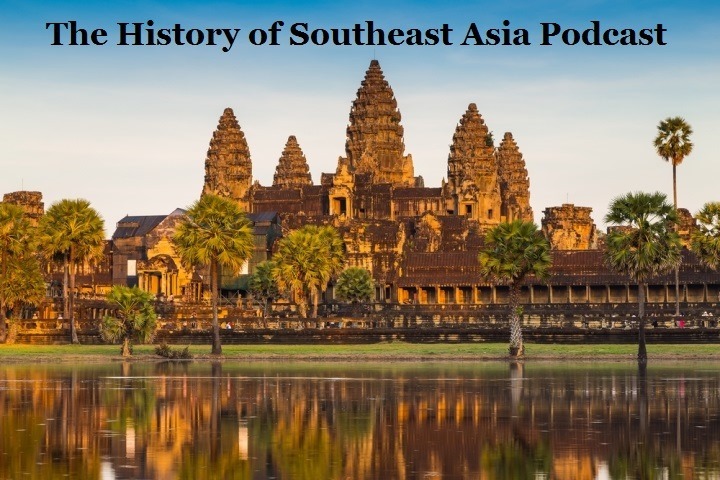 Second, I will build on the new History of Southeast Asia podcast; how far can I go with this? Thank you for reading and listening, and have a great life until we touch base again! ‘Bye for now. And my page on Tsu. You received this newsletter because you subscribed to my mailing list, provided by http://www.yourmailinglistprovider.com/ . It comes out once or twice a year, when there have been major changes to the website. I AM NOT in the spam business, so when you subscribed here, your address was not sent to any third parties. If for any reason you wish to unsubscribe, or would like to subscribe a new e-mail address, go to my homepage ( http://xenohistorian.faithweb.com/ ), scroll down about four fifths of the way to the bottom, enter your address where it says "Enter your e-mail address to receive the site newsletter!" and hit the "subscribe" or "unsubscribe" button. While my podcast has gotten a favorable reception so far, it occurred to me that not everyone who might want to listen knows about it, because they aren’t friends of mine of Facebook. Therefore, today I created my first Facebook page, to promote the podcast. So if you want to keep up to date on new episodes as I upload them, you can do it by liking the page. Over the course of this month, I plan to set up the links and RSS feed, and looking for advertisers. If the real world doesn’t get in the way too much, I’ll upload another episode in about two weeks. Everything and everybody has to start somewhere, and hopefully you’ll like what’s up so far. For this episode, I introduce myself and describe Southeast Asia’s geography. Next time the actual narrative will begin, with a review of what we now know about the region during prehistoric times.